On April 28, a Sound of Hope journalist made contact with one kidney transplant surgeon in Beijing. The surgeon said, because there were more organ donors in Sichuan province, China, he had been temporarily transferred to Sichuan local military hospital to help out. The doctors in the Air Force Hospital admitted they had young and healthy Falun Gong practitioner donors. To download, right click mouse button and select "Save Target As..."
Tsinghua University Yuquan Hospital, also known as No. 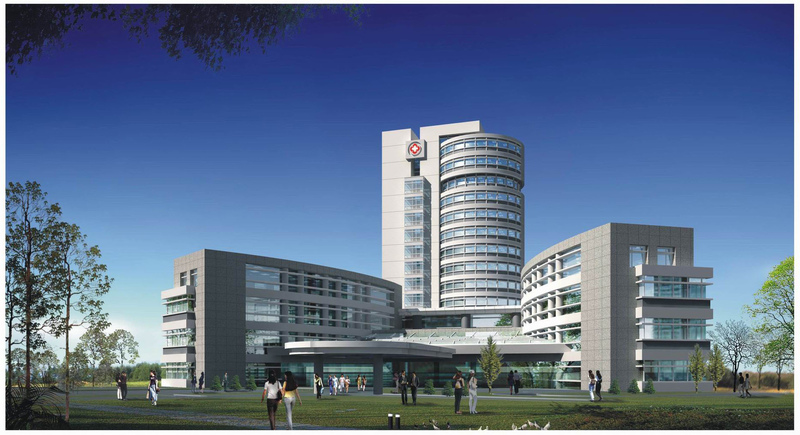 2 Affiliated Hospital of Tsinghua University, is a noted kidney transplant centre. Kidney Transplant Department Chief Li Honghui said that every year the centre performed over 100 transplants but recently, the donor pool in Beijing was a shrinking, so two months ago, he was transferred to a military hospital in Chengdu City, Sichuan Province to assist with the overload; that region had plenty of donors. Li Honghui: "We were in the military district!" Journalist: "Is it because there were more kidney donors, that you went there to perform surgeries?" Li said that it was several years ago that organs mostly came from Falun Gong practitioner; when the journalist asked whether they could provide Falun Gong practitioner donor organs, he answered, "Yes." Li Honghui: "It happened that for the past several years that donor organs were from Falun Gong practitioners." Journalist: "Do you mean that this type of donor was quite easy to get several years ago." Journalist: "Can you supply young and healthy donors, such as people who practice Falun Gong?" Li Honghui: "This request can be considered, I will tell you when the time comes"
Li Honghui said there would be a batch of kidneys on April 30. Li Honghui: "Today I inform you that there will be kidneys available the day after tomorrow. Can you make it tomorrow, because we will have a new batch of kidneys the day after tomorrow. Only one or two kidneys in every batch are provided to foreigners, because the rest are required here in the mainland there are one or two hundred mainland patients waiting for the organ." Air Force Hospital Department Chief Xu Yahong, who has 22 years experience said the hospital started to bring in kidney transplant surgery in the middle of 1980s. Up to now, he personally had performed around 500 operations, and in the past two to three years, he has performed an average of 100 surgeries in a year. Xu Yahong: "I have totally performed around 500 surgeries, but for the past two three years, an average of 100 operations in a year." Xu Yahong said, there would be a batch of kidney donors in the middle of May, and there would be volunteer donors, and that the hospital could provide young and healthy Falun Gong practitioners' organs. Journalist: "Is that right! There will be quite a lot of donors in May?" Xu Yahong: "That's right. We perform surgeries every month. Around May 20, before end of May, there should not be any problem; we carry supplies all the time. Speaking in a conservative way we still have other supplies, but, regarding this, I think we should talk about this issue after we meet. We have young donors." Journalist: "Is that right that you have young donors?" Xu Yahong: "Positively, our donors are young, we have volunteers." Journalist: "He (the journalist is pretending to represent a patient) emphasized that the donor must be young and healthy; the best would be the person who practices Falun Gong, do you have any chance?" Xu Yahong: "Yes, we have." Xu Yahong: "(Military) hospitals like us have this kind of opportunity; please contact us after May 15." A nurse from West China Hospital, also located in Chengdu City, said they performed six kidney transplants in a day. Nurse: "Just today, we performed six kidney transplants." According to a reliable source from inside the Communist regime, organ harvesting from Falun Gong, including live organ removal and subsequent incineration of the bodies, has always happened in China's labor camps and local police hospitals, including paramilitay police hospitals and military hospitals, which collude with labor camps and illegal organ traders to do the organ trade together. From the mainland organ transplant patents, it was noted that in the three years from 2002 to 2004 there were 13 patents submitted by nine universities, and all of them are top class universities in China, and Sichuan University is number one, it had two patents in 2004 and one patent in 2003. And there are seven kidney transplant centre in Chengdu City, nine in Chongqing City and five in other areas of Sichuan province.